Ah, 2004. It was a simpler time—a time of MySpace and Xanga, a time of American Idol and 7th Heaven. In games, 2004 was the year of World of Warcraft and Half-Life 2. George Bush defeated John Kerry. It was also the year Donald Trump appeared in an Xbox E3 ad spoofing The Apprentice and fired phony PlayStation representatives. Yes, good times. 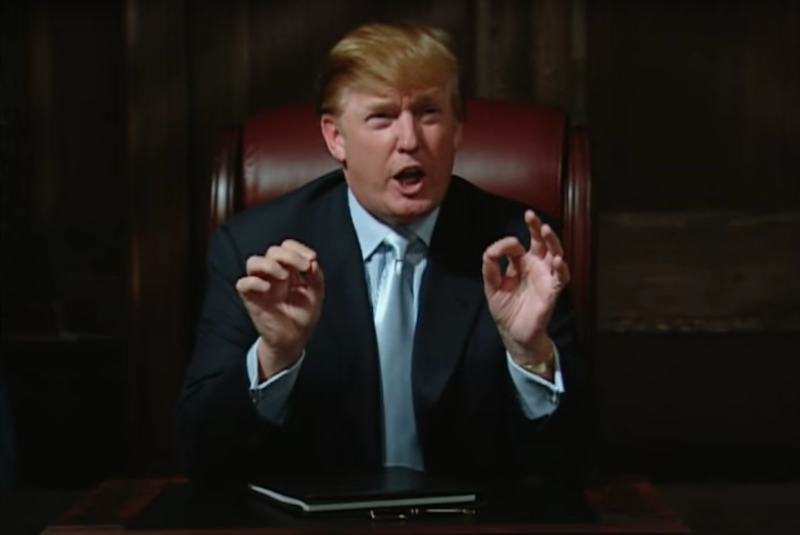 What would a Trump MMORPG look like? Is everybody Donald Trump? Is Donald Trump the Lich King, hellbent on wiping out the player base? Are we currently in Donald Trump’s MMORPG.